Accurate representation; outstanding detail; cleverly engineered for ease of assembly; crisp clean mouldings; photo-etched seat belts and “Spandau” jackets; comprehensive decal sheet in perfect register with minimal carrier film; and a mini “Datafile” for an instruction booklet. The wait has been worth it. 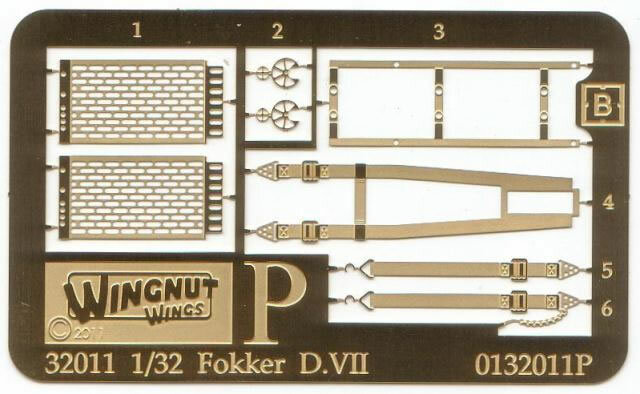 Wingnut wings have certainly done their homework which has resulted in the best series of kits to date. They are accurate, and carry exceptional detail. Careful cleaning up of each part is essential to allow the precision of fit that the company is famous for. One slightly misaligned part will have ramifications further down the line. 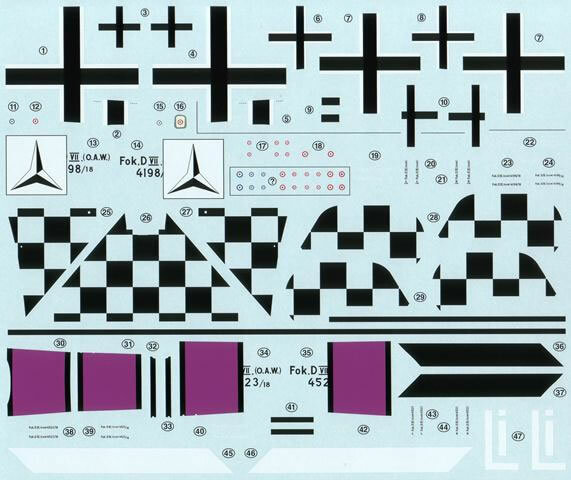 The comprehensiveness of the product can be seen in the decal sheet where separate “handed” dragon insignias are supplied for the starboard fuselage side of Leusch’s machine. That level of commitment is seen throughout the product and bodes well for future subjects. Very highly recommended. 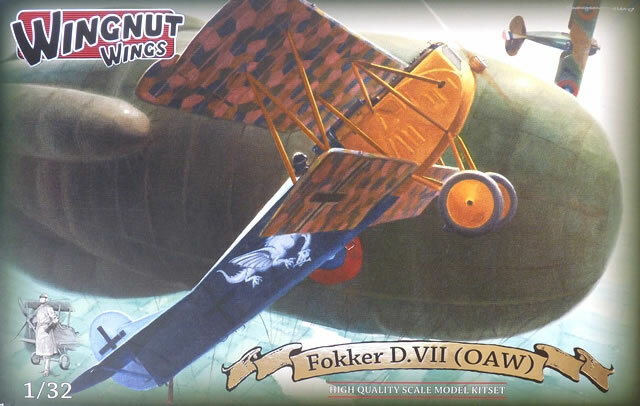 The Fokker D.VII was one of the most iconic aircraft to see service in World War One. 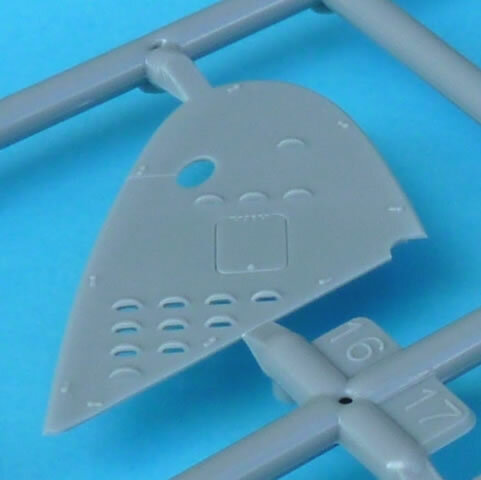 Modellers were delighted when Wingnut Wings announced that they were adding it to their range of 1:32nd scale releases. When it débuted, we were treated to examples from all three manufacturers. 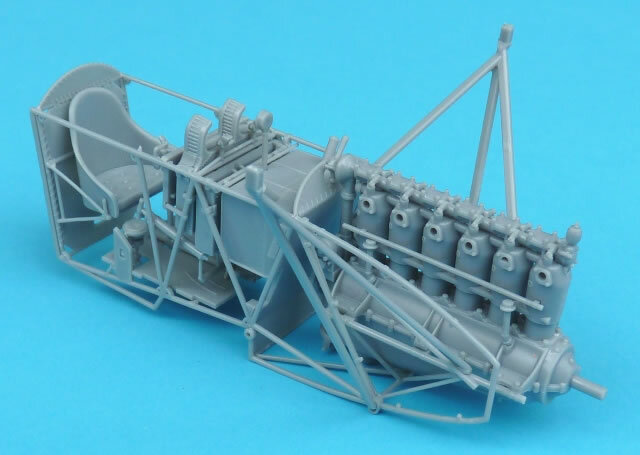 This kit represents a machine from OAW (Ostdeutsche Albatros Werke), one of the factories that produced the aircraft under licence. 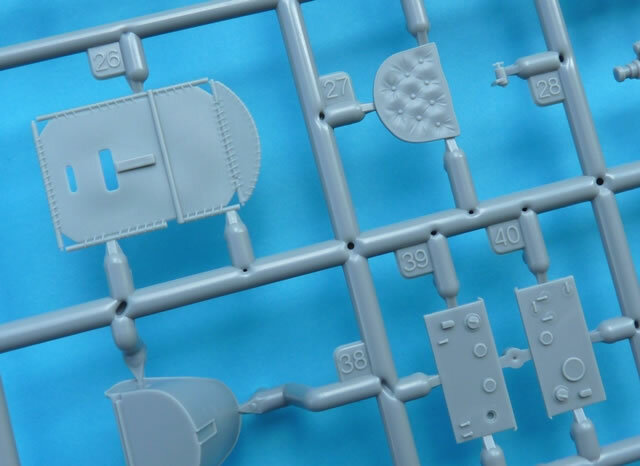 Inside the box are 9 sprues of grey coloured plastic, a fret of photo etched parts, decals for 5 options, and a comprehensive instruction booklet. 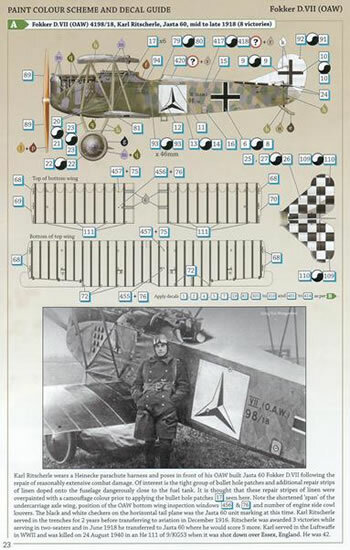 The parts number over 200 in total although not all are used in any single incarnation. The detail is superb with each item crisply moulded and without distortion. 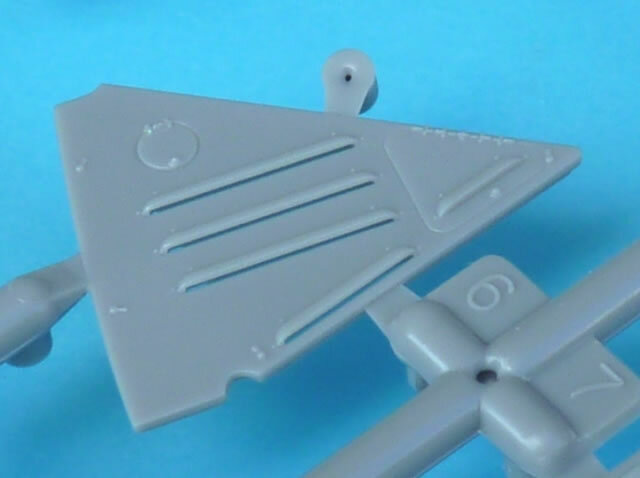 Ejection pins are a necessary evil in any kit but here they have been cleverly located so as to be hidden on the finished model. 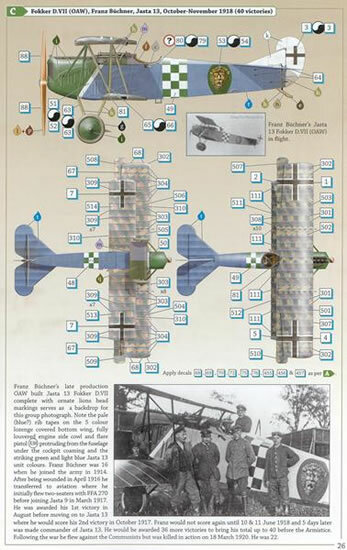 The cockpit consists of nearly 40 parts and this is where we get an inkling of the amount of research that went into the aircraft. 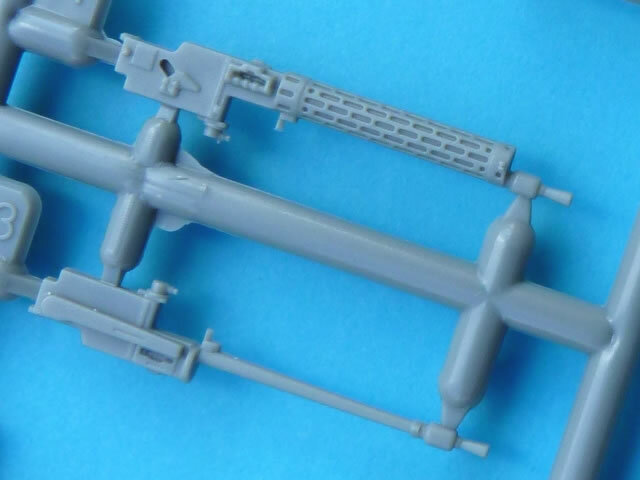 Die hard enthusiasts will be aware that some D.VII engines were slightly taller than others. To maintain the clearance needed by the machine guns, their mounts were raised accordingly. Wingnut Wings have taken all this into account. There were also differences with the instrument panels. 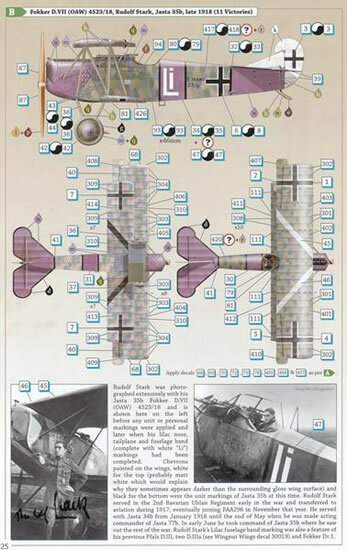 Those produced by Fokker did not have the same layout as their licence built counterparts. Once again, WNW has provided for this. All of the usual suspects are there including ammo cans, compass, hand pressure pump, fuel tanks, spark advance lever and throttle/mixture controls. The instrument panel boasts the starting magneto, grease pump, switches and a variety of dials and name plaques. The latter two are contained on the decal sheet and it’s important to remove any excess carrier film to allow for easy location. A nice set of photo-etched seat belts completes the well-appointed “office”. Everything fits extremely well between the separate tubular framework. If it doesn’t, then check for excess plastic at the location points. In my example, I found a small “step” due to a mould mismatch that stopped both ammunition cans from seating properly. This moulding misalignment also changed the cross section of some other significant parts to various degrees. 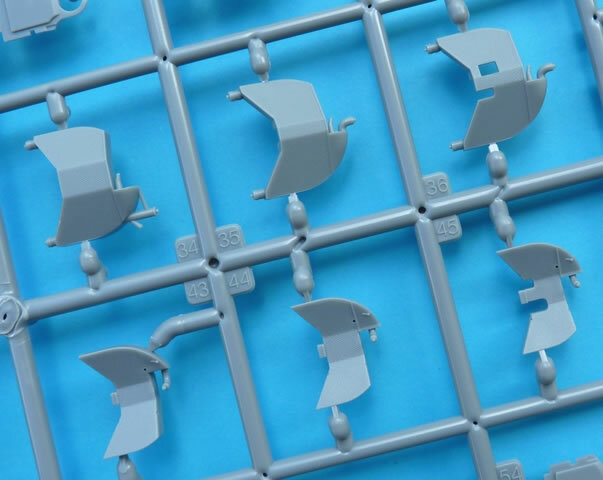 Hopefully this problem will be fixed with better quality control procedures during sprue manufacture. The instruction booklet clearly shows where the structural and control wires go. 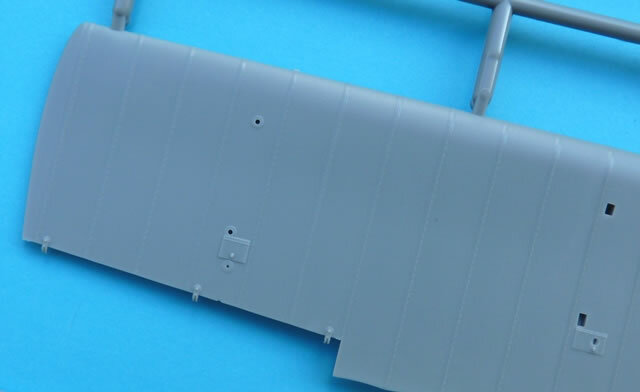 After this is carried out, the fuselage halves can be brought together. Once again the fit is exemplary, providing there is no paint on any mating surfaces to stop proper positioning of the assembly…yes, the fit is that precise. It’s clear that the engine bay was designed to have the side panels off as well as on. There is a full complement of framework to envelop the motor as well as various sections for the cowl to attach to. That makes for excellent diorama potential. Speaking of cowls, the moulding here is superb with each “louver” expertly formed over a correspondingly crisp opening. Both upper and lower wings come in two halves. They show fully formed rib tapes with a subtle representation of the stitching below. When cleaning up these items, take care not to remove the stacking pads on the leading edges. 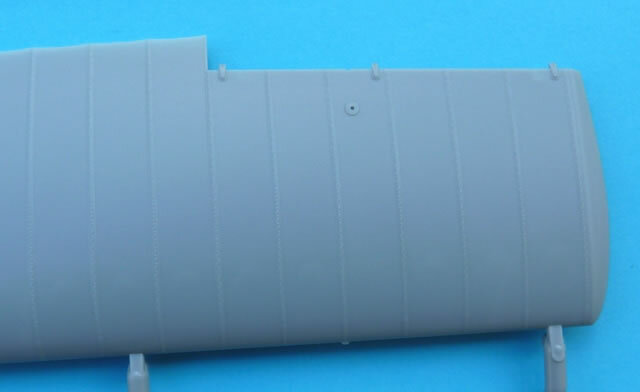 The axle wing is an important part of the Fokker series and it’s not an easy assembly to replicate in kit form. Despite there being 4 separate legs to install, each fits in a secure location and exits through a precisely sized hole in the upper plywood. No misalignment of the legs here. 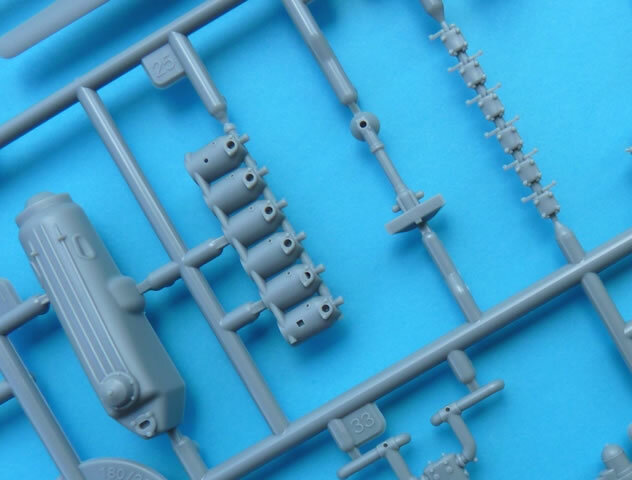 Sprue E contains the various engine parts. It allows you to mix and match the different items to get exactly the power plant you require. These motors are kits in themselves and are detailed in areas that are normally hidden from prying eyes. 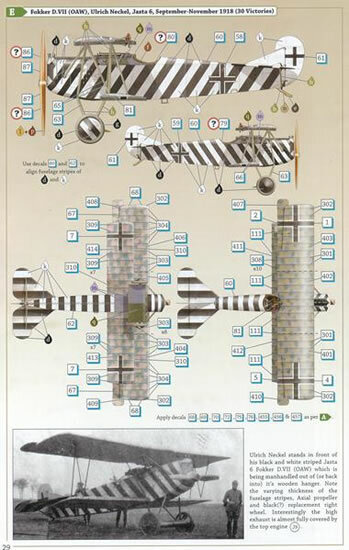 There were a number of different radiator manufacturers that catered for the D.VII. WNW supplies a healthy sampling to cater for a variety of different options. There’s detail front and back as well as a suitable compliment of plumbing. Attaching the top wing presented no issues thanks to the clever engineering of the struts. The 3 forward tubes are moulded as a single unit with all the angles pre-set for you. The shaped location holes mean that insertion can only occur one way…the correct way. Photo etched machine gun jackets are a must in this scale and fortunately it has been the norm to include them for some time now. The faint hearted needn’t worry, there are plastic alternatives that can also be used. The minimal rigging is clearly pointed out in the instruction booklet and then it time to admire the artwork for the 5 available options. An impressive collection of marking allows the builder a choice between five varied options. 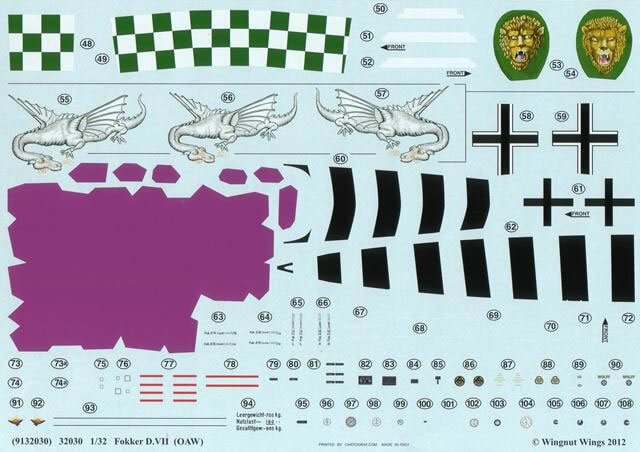 Not only do we get the national and personal adornments, we also get a full complement of stencil data, instrument faces, and propeller logos for each subject. 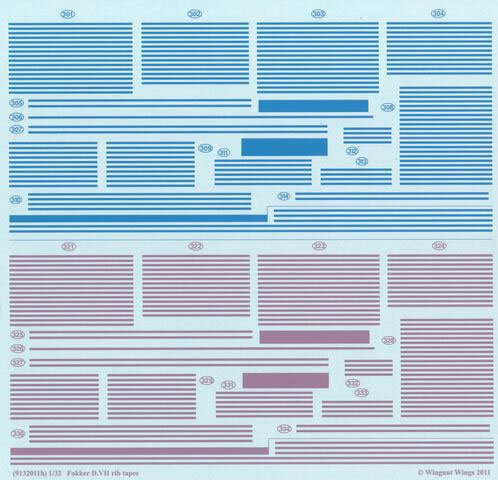 There are three A4 sheets that supply both 4 and 5 colour “lozenge”. All have been pre-cut to match the outline of the surface they’re being applied to. If you accidently destroy an item, there are spare “bolts” of fabric in both 4 and 5 colour combinations to calm your nerves. 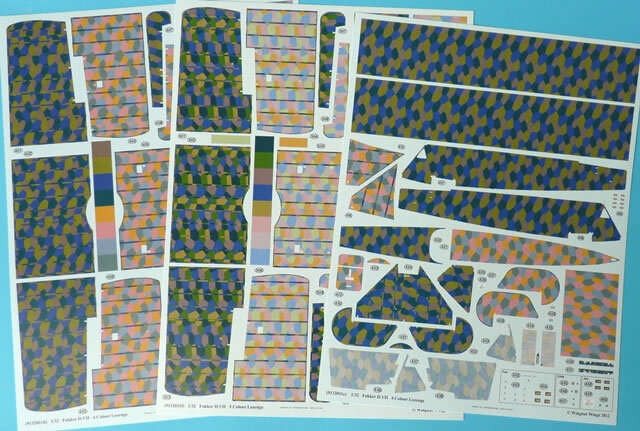 Rib tapes of the same material are printed as part of the design which allays any possibility of misalignment. If tapes of another colour are needed, then simply apply them directly over the patterned items. Everything was printed in perfect register with minimal carrier film and no bleeding of colours. This would have to be one of the most anticipated series of aircraft from the Wingnut Wings’ hangar. It took a while to get here, but that was only because WNW wanted any issues with the kit to be corrected before it came onto the market. The wait was definitely worth it as it is arguably their best so far. 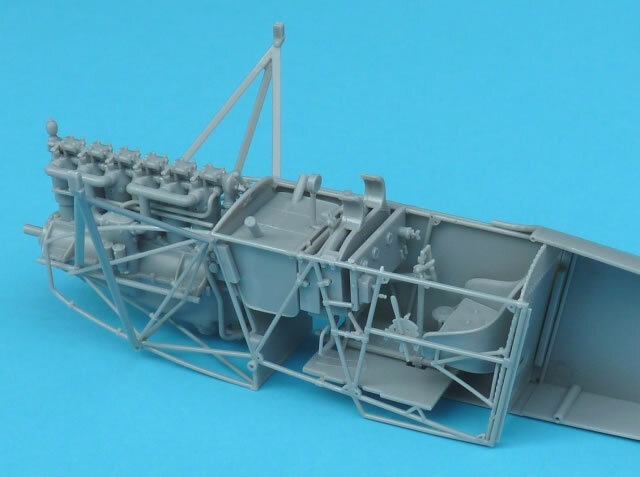 One would think that a single seat scout with very little rigging would be an easy build. Well yes… and no. There is a lot of detail contained in the box and it takes a lot of pieces to translate this into the finished product. 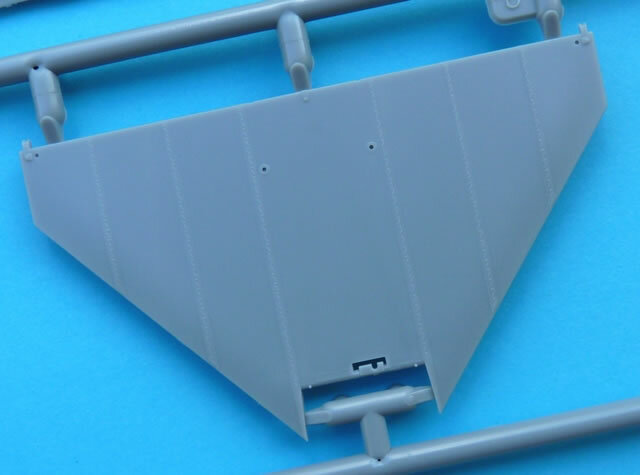 Exact placement of each part is mandatory, and any paint must be removed from mating surfaces so as to not throw out the alignment of parts further down the track. A dry run showed that the fit at each stage of assembly was exceptional. This did change when paint had been applied to the aforementioned mating surfaces as I didn’t always practice what I preach. Lesson learned! These kits will prove popular for years to come as there are so many colourful subjects to build. 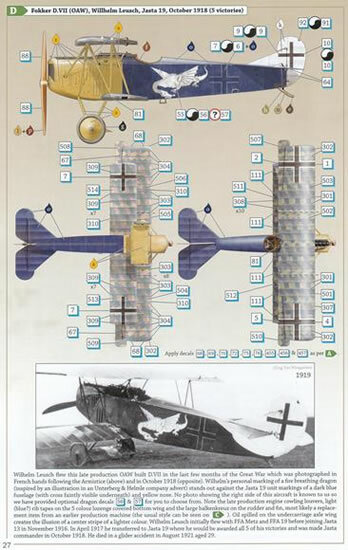 They are accurate, extremely well detailed and deserve to be on the shelf of any WWI aircraft enthusiast.